For the ambitious and unflinching poet, Robin Richardson offers engaging and intensive workshops and seminars designed to improve your writing with life-changing techniques formulated over years of experience. She has a unique approach to teaching, ensuring each student's work is intimately understood, as an honest appraisal of both strengths and weaknesses is offered with compassion and constructive methods for improvement. The philosophy is simple: value honesty, bravery, and vulnerability, and believe that with self-knowledge and dedication to craft, anyone can create works of impact. * Timing can be negotiated, but generally three months is best. Once you engage with Robin in a professional capacity, you have her full attention and dedication to honing your work to its full potential. Be clear about your goals and upfront about your struggles, and you will find you get exactly what you need. Pupils have gone on to publish books and chapbooks with esteemed Canadian presses, and continue to expand their reach with ongoing publications and awards. Also available for phone or skype consultation for $100 per hour. A lot can be accomplished over a phone conversation, so I highly recommend this service, especially if you have burning questions about your writing or about the publishing world. It is your chance to really pick my brain. It’s been five years since the launch of the Unsympathetic Poetry Workshops. It has been a deeply rewarding endeavour as I’ve been able to watch and participate in so many of your careers and creative exploration. As the workshops fill up with increasingly frequency I believe it’s time to do some restructuring to ensure maximum value for everyone involved. Much of these changes have been prompted by student feedback, as well as examination of other international workshop models. The new format will ensure smaller more tailored classed, as well as more individualized feedback and intensive poetic education. The prices have increased to allow for the new format and to account for my own growth and increased capabilities. I hope you’ll find these changes as exciting and agreeable as I do. If you have been writing and attending workshops for less than a year, or are transitioning from another form, this workshop is for you. We cover the basics of format, structure, language, and content. You will be in a small group of writers who are at a similar place, and will receive individualized guidance with your work. You have been writing and attending workshops for between 1 and 3 years and feel ready to advance your writing and career. You have been writing poetry and attending workshops for over 3 years, and are getting published on a rolling basis. These workshops are for seasoned writers looking to hone their craft and to test the limits of their capacities. Here we look as publication, book compiling, metric cohesion, content innovation, and other endeavours as they apply to the advancement of craft and career. Attendance in all tiers will be invited to submit their revised workshop poems for individualized edits and overall notes from me. Poems must be submitted within a month of the workshop. Classes will be capped at 4 participants, allowing for more time and attention paid to each piece. Attendants will also be at the same stage in their writing, so feedback will be better tailored to participant’s needs. Workshops will be held bi-weekly or weekly at all tiers, so if you need never worry about missing a month or two because you were unable to attend one of the sessions. Workshops will now include exposure to new poets and poems, chosen specifically based on the group of participants and their tier. Thank you all for your love of and dedication to poetry, and for making these workshops what they are. Spaces Limited to 4 – Reserved upon payment The Unsympathetic Poetry Workshops have gained quick popularity as participants find themselves tapping into inner resources, and digging up truths they never knew they had. They are an intensive, engaging, and revealing experience, which you are certain to walk away from with a stronger sense of poetry and of yourself. All you need it one poem and a willingness to get honest and engaged. Accessibility: The workshops and seminars are not wheelchair accessible, however, I offer one-on-one alternatives in accessible public spaces at negotiable rates. Email for details. Great writing comes from a place deeper and more mysterious than the intellect. Over the course of this four-week seminar you will learn to access the long-dormant elements of your own unconscious. We will use intensive, unconventional exercises, exploring dreams, archetypes, memory, and myth, to tap your potential as a writer. Will include close readings of fairytales and other related material. This seminar is very much open to repeat attendance as we will focus on new fairytales and continue to cultivate the unconscious symbols you have already unearthed. 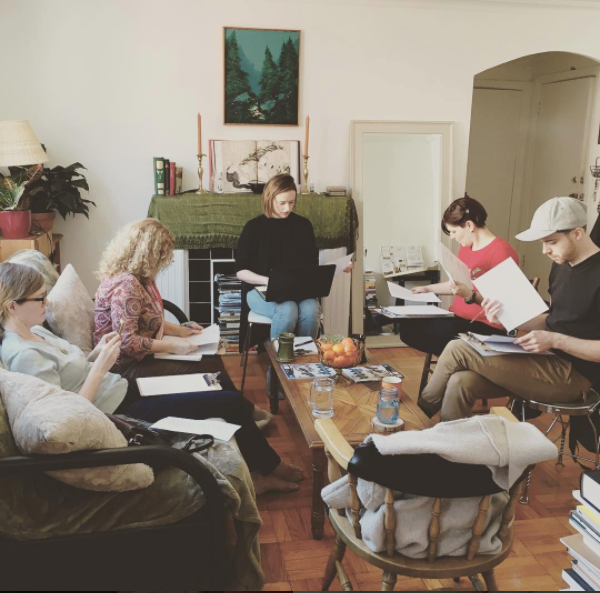 "The workshops are carefully organized and tailored to educate students in the craft of both thinking more deeply and writing more fluidly while simultaneously challenging each participant to grow and to hone our skills as writers. One of the ways in which Robin manages to do this is by getting participants to search themselves and to dwell upon their vulnerabilities in the service of reaching a deeper truth. A result of her approach here is more honest, penetrating, and confident writing. Her passion for the poetic verse is matched by her apparently effortless competence to teach it. As an educator, I envy her confident comfort and poise within the workshop setting as well as her conscientious attention to each student. Robin is a master of the craft and it shows. Not only does her ability as a poet and teacher shine at each moment, but it is also infectious. One of the most impressive parts of having participated in Robin’s workshops is to see the enthusiasm that she brings to the educational setting spread to and invigorate all in attendance. " Brandon Fenton, Department of Philosophy at York University. "It was a pleasure and a privilege to work with Robin. I was extremely impressed by her knowledge of craft and poetic technique, combined with an uncanny ability to rapidly identify the "core" of a poem, as well as its weaknesses. She has a gift for visualizing a poem's potential as well, so that her edits are not merely subtracting from what's on the page, but guiding and encouraging the poet to dig deeper, stay true to her authentic voice, and write from a place of honesty and courage. 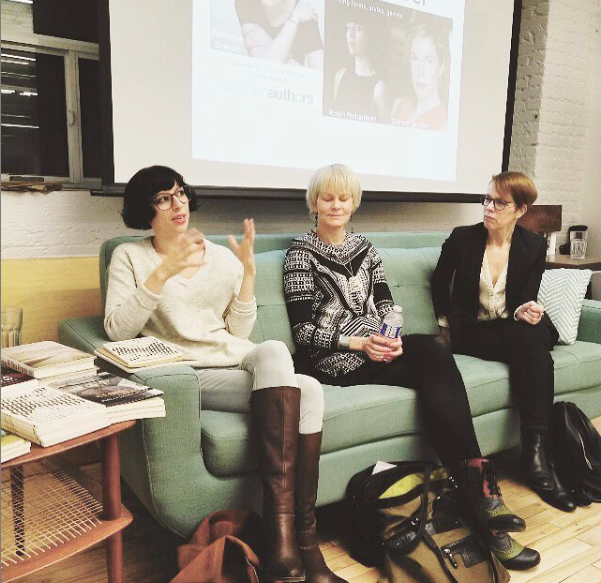 Her mentoring for an emerging writer such as myself was incredibly helpful, direct, and supportive, exactly what I needed at this juncture." Lisa Richter, poet with Tightrope Books. "Robin Richardson's Unsympathetic Poetry Workshop is for emerging and established writers alike to gain critical insight into their poetry. Robin facilitates an encouraging environment of thoughtful discussion that lets participants look deeper at works in progress in a whole new light, making the job of revision much less of a daunting task. I highly recommend her workshop to poets at any stage in their writing career." Joshua C. Buchard, Poet. "Robin Richardson's Unsympathetic Poetry Workshops have helped to frame what I look for when I'm ready to move forward with a poem. She has helped me to see when I am opening up in my work, and has challenged me when I am closing off; encouraging me to find language that will service the poem, and really say what I mean. She has helped me to mine the difficult spaces, not to shy away from the ugly parts, the parts that are rough around the edges, or the straightforward because there can be clarity and resonance in that which isn't perfectly crafted. When it was very easy for me to get caught up in the poeticism of language, Robin encouraged me to share just a little more, to be less abstract, to dare to be a little more honest which is what I think finding the Unsympathetic Voice is all about. Working in service of the poem to bring it to its fullest potential." Suzanna Derewicz, Screenwriter, poet, Social Media Strategist at Minola Review.